When the Government was elected in 2004, it set out to meet the mandate that the people of South Africa had given it in the election. 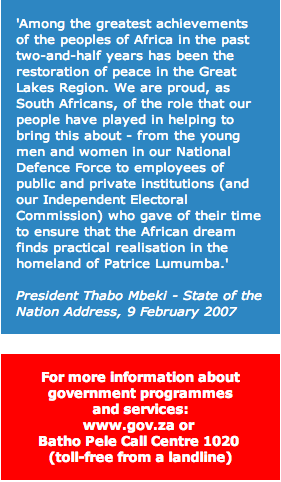 It was a mandate to build on what South Africa had achieved in the first Ten Years of Freedom. It was a mandate to continue building a better life for all. 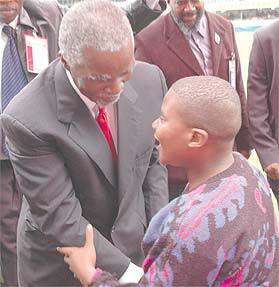 When we celebrated Ten Years of Freedom, just after the elections of 2004, President Thabo Mbeki spoke of that vision. Encouraged by the determination of all South Africans to work together, he made a pledge, on behalf of all of us - that we would continue to work together to change South Africa into a country defined by a shared dream. The new Government committed itself to work with all South Africans to implement detailed programmes that would let the country move forward as quickly as possible to build the new South Africa. Creating jobs and reducing poverty are at the heart of these programmes - we need to succeed in those things to solve all our other problems. Now that we are half way through the five years the Government was elected to serve, it has carried out a Mid-Term Review. It has asked if we are on track to do those things that must be done by 2009. It has looked at what must be done to continue progress and to overcome weaknesses in implementation. 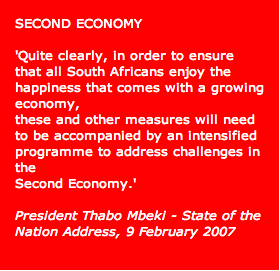 We have made progress since 2004 in further changing South Africa for the better. However, there are also many difficulties we still confront and many tasks to complete. In its Programme of Action for 2007, government will continue to work hard to ensure that the nation's objectives are met and to meet its commitments to the people. 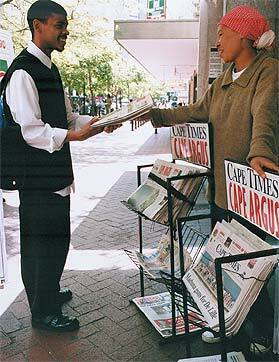 ensure Broad-Based Black Economic Empowerment. Our economy has grown over 4,5% a year since 2004, the fastest for 20 years. Public- and private-sector investment has been increasing 11% a year - it is now at its highest since 1991. The number of employed people has grown half-amillion a year in the past three years. Black people in top management have increased from 24% to 27% - but that is still very low. Progress has been made in implementing the Accelerated and Shared Growth Initiative for South Africa (AsgiSA) to overcome the things holding our economy back from faster growth. 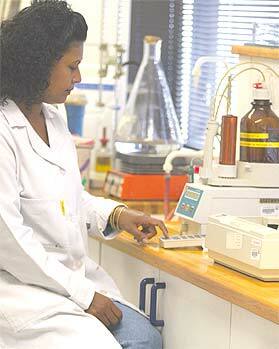 Government and university leaders have agreed on resources needed to ensure that skills in short supply are provided. There are many more non-fee paying schools. Growing prosperity has led to huge growth in consumerdemand. Our big infrastructure projects need a lot of supplies and machinery. However, our economy doesn't yet have the capacity to produce enough consumer and capital goods, which we have to import. South Africans are not saving enough. So we have to depend on savings from other nations. The value of the Rand is still too unstable to get the best out of our export industries. We need to do much better in creating employment opportunities. 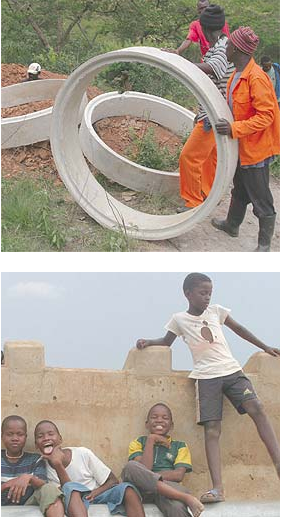 We need a bigger Expanded Public Works Programme (EPWP). We need to create selfemployment through small and micro enterprises; and to do more for young people through the National Youth Service and the development of young entrepreneurs. speed up implementation of AsgiSA and other economic programmes. We will complete the review of our country's experience in managing the relationship between the exchange rate, inflation and interest rates. This will help us put in place steps to grow industries that produce things for both the domestic and export markets, and that can take in many semi-skilled workers. Speed up plans to facilitate investment in business process outsourcing, tourism, biofuels and chemicals, and finalise programmes for forestry and paper, clothing and textiles, metals and engineering. Develop a strategy to prioritise key interventions in mining and mineral beneficiation, agriculture and agro-processing, the white goods (household appliances) sector, creative industries, community and social services and pharmaceuticals. We will set up the State Diamond Trader that will purchase 10% of diamonds from local producers and sell them to local cutters and producers. Speed up work to ensure more use of nuclear power generation, natural gas and renewable sources of energy. Finalise plans with mobile telephone companies and Telkom to reduce the cost of calls between cellphones and Telkom lines. Identify areas for 10 development call centres, each employing 1 000 persons. Telkom will apply a special low rate for international bandwidth, as part of our effort to expand the Business Process Outsourcing sector. Progress in recapitalising Further Education and Training (FET) colleges means we can expand the number of artisans we have. Starting this year, we will provide financial assistance to trainees in need who enter FET colleges. intensify efforts to integrate youth development into the mainstream of government work, including a youth co-operatives programme, and the ongoing efforts to link unemployed graduates with employment opportunities. 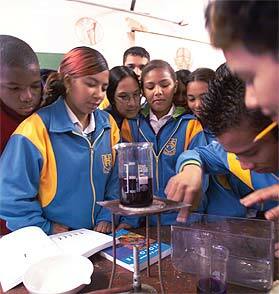 implement further measures to open wider the doors of learning and of culture. 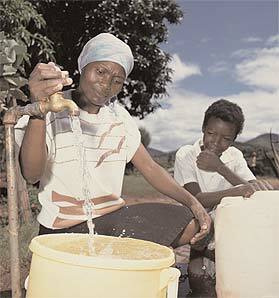 Now 11 million people receive social grants compared with eight million in 2004. 300 000 new housing subsidies have been allocated in the past two years. 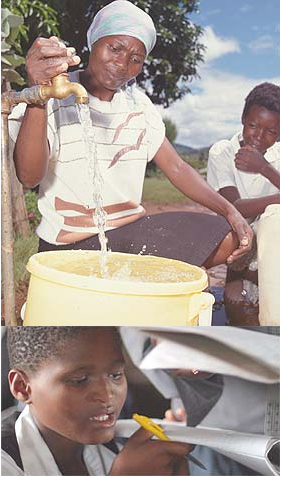 Access to basic water supply has improved from 59% in 1994 to 83% in 2006 - however, eight million people are still without piped water and many more are without electricity and sanitation. In one year since 2005, the backlog in doing away with the bucket system in established settlements was cut by almost half - we are on track to end this dehumanising system in these areas during 2007. We have started to implement programmes to improve passenger transport, including taxi recapitalisation and provincial initiatives (like the Moloto Rail Corridor in Mpumalanga, Klipfontein Corridor in Cape Town and Gautrain). These are part of a comprehensive passenger transport strategy to improve the quality of life of especially working people. Some slow improvement in education and skills, from quite a high base, including literacy, school enrolment and participation in higher education. Much more needs to be done to ensure steady improvement in Grade 12 pass rates and to increase the number of Grade 12 learners who pass Mathematics. The success of our democracy should and will be measured by the concrete steps we take to improve the quality of life of the most vulnerable in our society. Work towards an integrated anti-poverty programme that targets households living in poverty, so that we make the biggest impact and avoid wastage and duplication. It will help us link beneficiaries of social assistance to municipal services and work opportunities, so that as many people as possible enter the labour market and end their dependence on social grants. plans to reach vulnerable children older than 14 years. Speed up the building of low-cost housing by urgently establishing a Special Purpose Vehicle to handle finances; piloting the Land Use Management Bill; and finalising the agreement with the private sector on lowcost housing. Speed up implementation of taxi recapitalisation, and implement plans for passenger rail and road transport, including the Bus Rapid Transit System in the metros and recapitalisation of Metrorail. Complete plans to implement the final stages of our programmes to meet the targets for universal access to water in 2008, sanitation in 2010 and electricity in 2012. Put in extra effort in dealing with the remaining cases of land restitution and find ways of speeding up land redistribution. Expand access to Early Childhood Development, as part of the programme to improve the general education system and as part of the EPWP. Expand training and the employment of nurses, social workers and auxiliaries; increase training institutions; improve the quality of training; and put in place a bursary system. Continue implementing the remuneration dispensation for medical professionals, and provide additional resources further to improve teachers' pay levels. Ensure implementation, without further delay, of plans to reduce the cost of medicines. Continue work to address the various non-natural causes of death in our society as well as lifestyle diseases, malaria, the various strains of tuberculosis (TB), road accidents and violent crime. Intensify the campaign against HIV and AIDS and improve implementation of the comprehensive approach, including prevention, home-based care and treatment. We shall ensure that the partnerships built over the years are strengthened, and that our improved national comprehensive strategy against AIDS and sexually transmitted infections is finalised as soon as possible. Finalise the strategy and programmes to strengthen social cohesion, including a comprehensive, integrated antipoverty strategy and deal with issues related to national unity, value systems and identity. South Africa is still transforming from a divided and bitter past. 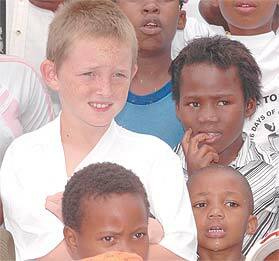 We have made much progress towards equality, nonracialism, non-sexism and in restoring human dignity. But many challenges still hold us back from achieving more as a country and truly transforming our society. We need to make a conscious, determined and sustained effort to build a nation free of the past. improve the safety and security of all citizens and communities. 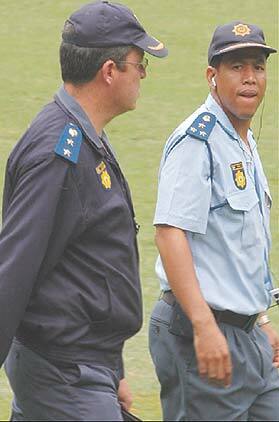 The targeted figure of 152 000 police officers employed in the South African Police Service (SAPS) has been surpassed and training has improved - but the impact of this is not yet enough for everybody to feel a better sense of safety and security. Most contact crimes have been reduced but the annual reduction rate in robbery, assault and murder is still below the 7% - 10% we had targeted. 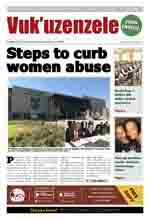 The abuse of women and children continues at an unacceptable level. Make best use of the justice system's new technology and improving the functioning of our courts, to reduce case backlogs. Finalise plans to transform the judiciary and improve its functioning, in consultation with the judiciary. Bring the operations of the Department of Home Affairs to full capacity, by filling vacant posts, improving systems and implementing other recommendations of the Task Team that has been working with the Minister to improve the department's work. Implement the recommendations of the Khampepe Commission on the mandate and operations of the Scorpions. Ensure that decisions to expand the Correctional Services infrastructure are put into practice, improve management of Border Control and make sure that immigration and documentation services are implemented. Continue improving pay and working conditions of the police, and further expand the personnel of the SAPS to over 180 000 within three years. Bring to full capacity the forensic laboratories equipped with the latest technology and ensuring optimum use of the finger-print database. Intensify intelligence work related to organised crime, based on recent successes in dealing with cash-in-transit heists, drug trafficking and poaching. Continue to further capacitate our intelligence agencies, and ensuring that they always operate within our Constitution and laws. 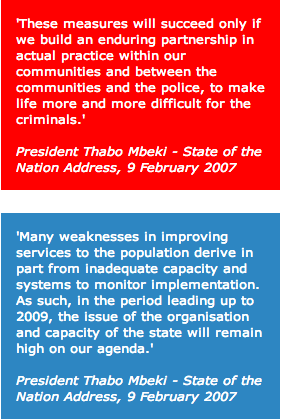 Improve analyses of crime trends to improve our performance in both prevention and the combating of crime. Respond to the fact that, as in other countries, most violent crimes occur in the poorest areas of our country and require strong and sustained community interventions focused on crime prevention. Further improve the functioning and effectiveness of the vitally important community police forums. The increase in some crimes during the security workers' strike has made it clear that the security industry cannot be handled simply as the business of the private sector. We need to strengthen the regulatory system in relation to such issues as pay levels, personnel screening and the enforcement of guidelines on cash-delivery vehicles. We will review this matter this year, so that in addition to improving the work of the police, we can together with the private security industry create an environment in which the public enjoys the security it expects. make sure that the public sector plays its role in growth, reconstruction and development. Programmes to improve local government capacity continue, including the training of representatives elected last year. September 2006. Most ward committees (80%) have been established. and development strategies and integrated development plans). Districts and metros have held their growth and development summits. continue to improve services to the people. Strengthen monitoring and evaluation capacity across government. Complete, in the next 18 months, legislation on a single public service and relevant norms and standards, and policy on pay, medical aid and pensions. Look at capacity and intervene in provincial departments responsible for local government and offices of the premiers, while continuing to improve capacity in national departments. Intensify the public sector and national anti-corruption campaign and further improve the effectiveness of our anti-corruption strategies. Roll out the Batho Pele campaign in local government; intensify outreach programmes, including izimbizo, and set up more multi-purpose community centres. Further capacitate and support traditional leadership. The Community Survey starting in February will give government a picture of the circumstances of citizens across the country. In October, 30 000 people in 8 000 households will begin to take part in the National Income Dynamics Study. It will track them over time to improve our understanding of socio-economic change in our society. speed up the renewal of the African continent and increasingly contribute to the resolution of major challenges facing the world. continue working with the rest of our continent and our development partners to speed up implementation of New Partnership for Africa's Development (Nepad) programmes. As a non-permanent member of the United Nations Security Council, we will do everything we can to play a part in furthering international peace and security. We shall continue engaging the leaders of the peoples of Palestine, Israel, Iraq, Iran and other countries in the Middle East and the Persian Gulf. We shall continue to strengthen our relations with other countries on the continent, our partners in India, Brazil and the People's Republic of China, other countries of the South, as well as Japan, Europe and North America. We shall work for a speedy resumption of the Doha Development Round of World Trade Organisation negotiations, convinced that it is in the long-term interest of both developed and developing countries that these talks reach fruition. In February of each year, the Minister of Finance announces government's spending, tax and borrowing plans for the next three years. This is called the national Budget. It describes how government will raise money and how it will be spent. 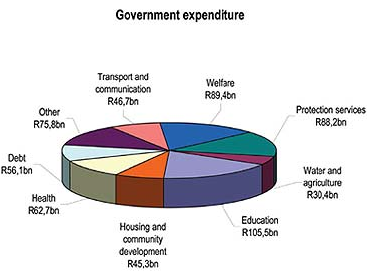 The national Budget divides money between national departments, provinces and municipalities. The South African economy grew by 5% last year and is expected to expand strongly over the next three years. More jobs have been created and government has more money to spend on services such as education, health, policing and public transport. The challenge for our country is to make sure that we grow even faster, to create more jobs and reduce the level of poverty. The 2007 Budget contributes towards faster growth and shared benefits for everyone. Some of government's programmes provide immediate benefits, while others benefit all of us, and our children, in the long term. Spending for the future is called investment. Government is investing in public transport, clinics and hospitals, electricity, housing, water and schools to ensure that our economy continues to grow and that everyone has access to these services. We are also changing the way in which we do things to ensure that we build a secure country and improve the standard of living for all, for the long term. more police, better courts and more prison spaces to make our communities safer. The 2007 Budget supports economic growth and ensures that all share in the fruits of our economy so that we reduce unemployment and poverty. R8,1 billion extra for teacher salaries, teaching assistants, support staff in schools and districts. R7,2 billion extra for health to cover HIV and AIDS, additional pay for health workers and for improving hospitals. 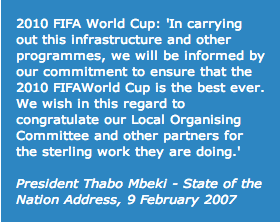 R17,4 billion for the 2010 FIFA World Cup. 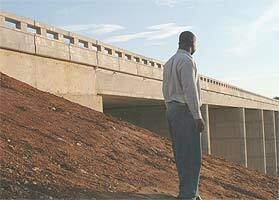 R7,8 billion for public transport, water and other municipal infrastructure. R2,4 billion for additional police. R1,5 billion to improve the work of the courts. The tax on retirement funds will be abolished, helping to boost retirement savings. The secondary tax on companies will be reformed and the rate lowered from 12,5% to 10% to help support economic growth. 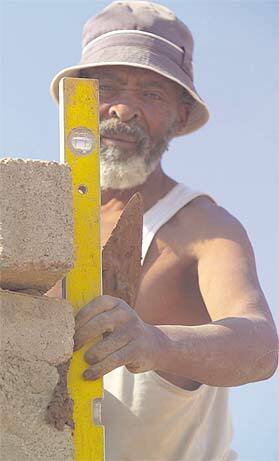 People younger than 65 years earning below R43 000 will not pay any income tax. Personal income tax will be reduced by R8,4 billion. 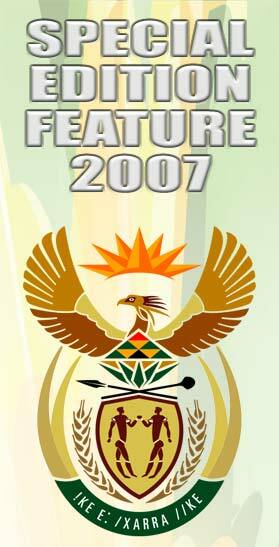 Taxes on a litre of petrol or diesel will rise by 10 cents from 4 April 2007. A can of beer will cost 5 cents more. A packet of 20 cigarettes will cost 60 cents more. A 750 ml bottle of liquor (spirits) will cost R1,88 more. Care Dependency Grant - from R820 to R870 a month. It is important that everyone who qualifies should receive their social grants. But unfortunately, some people have tried to get grants when they don't qualify. They have been charged with fraud in the courts. The 2007 Budget makes available R10 billion over the next three years to improve the services provided by social welfare organisations in the community. Through partnerships with community organisations, we can best serve those in need. Between 2007 and 2010, government will extend the social security system so that the benefits of growth are shared by all. Many working people do not save enough for their retirement or for unexpected events such as early death or disability. Some people who do save, lose their money because they invest in the wrong products. The new social security system will ensure that everyone saves while they are earning an income, and that their money is safely invested. It will provide protection against unemployment and will pay benefits if workers die or are disabled. The Government will pay a refund through the tax system to help low-wage workers pay the social security contribution. This will also lower the cost of creating jobs and encourage companies to hire more workers. By saving for retirement through the new social security system, all South Africans will together contribute to better protection against accidents or unemployment and more security in old age. Over the next three years, our tax system together with the systems used to pay our social grants, unemployment insurance payments and road accident fund claims will be changed so that government can collect tax and deliver social security benefits to all at a low cost. Many of these ideas need more work. Government will be releasing more information on these changes during the course of the year. Improving the quality of schools has been a major priority of government since 1994. In 2006, government introduced no-fee schools for the poorest children, aimed at ensuring that nobody could be excluded from education because they could not afford to pay fees. Since 2002, there has been a large increase in funding for new classrooms and schools, and for electricity, water and sanitation facilities in schools that did not have these facilities. The 2007 Budget makes available R8,1 billion to improve teacher pay, to hire teaching assistants and to recruit clerical support staff in schools and district offices. These initiatives are aimed at further improving the quality of school education for all. While government has done well in getting almost all children into schools and providing more money to schools, we have much more to do to improve the quality of education. Our performance is not yet good enough. We need strong support from parents and communities to ensure that schools perform to the highest standards. Only strong partnerships can improve our schools. In three years' time, South Africa will host the world's biggest sporting event. The 2010 FIFA World Cup is an opportunity for our country to showcase our people, talent, natural beauty, culture and organisational abilities. The World Cup also provides an opportunity for us to improve our public transport infrastructure, road networks, policing capacity and communications facilities. Many of these projects will leave a lasting impact on our communities and on the quality of life for many. The national Budget makes available R17,4 billion for infrastructure related to the tournament. Of this amount, R8,4 billion is for stadiums and R9 billion is for transport infrastructure and to upgrade areas around the stadiums. The money allows for new stadiums to be built in Cape Town, eThekwini, Nelson Mandela Bay, Mbombela and Polokwane. Stadiums in Johannesburg (Soccer City and Ellis Park), Mangaung, Rustenburg and Tshwane will be upgraded to meet FIFA World Cup standards. The building of these stadiums has begun and plans are being prepared to ensure that everything is ready for the big event in 2010. All South Africans are united behind the World Cup and our team, Bafana Bafana.